Stem cell transplants are more effective for people with severe cases of multiple sclerosis (MS) than mitoxantrone, according to a study published online in Neurology. A multifaceted team of researchers examined 21 patients with MS whose disabilities had increased during the past year in order to assess the effects of intense immunosuppression followed by stem cell transplants versus mitoxantrone on disease activity. The participants were taking first line treatments and were at average disability levels. They needed canes or crutches to walk at an average age of 36 years. All participants received immunosuppressants in the first part of the trial, and for the next phase, 12 participants received mitoxantrone and 9 had their stem cells harvested for bone marrow. 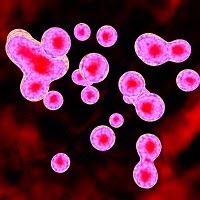 After the investigators determined that immunosuppression was achieved, the stem cells were intravenously reintroduced. After a 4 year follow up period, the stem cell transplant patients reduced disease activity significantly better than the mitoxantrone treatment group. There were 80 percent fewer new brain lesions in the stem cell group, who had an average of 2.5 new lesions, compared to the mitoxantrone group, which had an average of 8 new lesions. There were some serious side effects in the stem cell transplant group, but Mancardi noted that the adverse events were anticipated and were able to be resolved without permanent consequences. “More research is needed with larger numbers of patients who are randomized to receive either the stem cell transplant or an approved therapy, but it’s very exciting to see that this treatment may be so superior to a current treatment for people with severe MS that is not responding well to standard treatments,” Mancardi concluded. A phase III trial is currently underway, and will reportedly include more patients, according to media reports. The study was originally planned as a phase III trial, but continued as a phase II because there were too few patients enrolled. In an accompanying editorial, Paolo A. Muraro, MD, PhD noted that this was the first stem cell transplant trial to randomly assign patients with MS to either a treatment or control group.